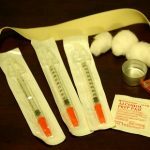 Faced with a growing opioid epidemic, King County and the City of Seattle have approved two safe injection sites in King County. The Seattle Mayor approved one to be located in Seattle. The location for another is still under discussion. A safe consumption site in our region would be the first in this country. Meanwhile, Speak Out Seattle, a group opposed to safe injection sites, has gathered enough signatures for an initiative banning the proposed sites in King County. Part 1 – Neighborhood Safety Alliance member, Jennifer Asplund opposes safe injection facilities and shared her take with KBCS’s Yuko Kodama. Part 2 – Dr. Bob Wood of Protect Public Health, is the Former Director of Seattle and King County Public Health’s HIV AIDS Control Program. He worked extensively with drug injectors and shares his take with KBCS’s Yuko Kodama.